Before venturing out to start small businesses, people often ask themselves, “How will this affect my personal financial situation?” Many are fearful new venues will have negative implications on their personal credit and debt ratios. 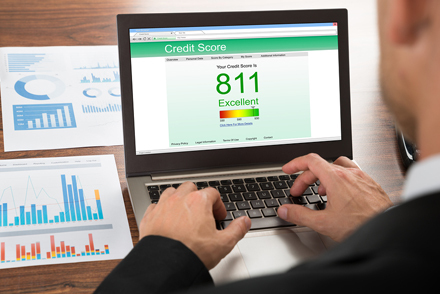 In The Face of Small Business data study, Experian researchers set out to get an answer:1 Is there a correlation between small business ownership and personal credit ratings? They studied 2.5 million owners of small businesses and 1 million consumers who revealed interesting information: Owners of small businesses have higher average personal credit scores and more available credit.2 Therefore, in general, owners of small businesses are more likely to have better credit and payment histories than consumers who do not own businesses. Higher credit scores — On average, owners of small businesses are likely to have credit scores 48 points higher than average consumers’ scores of 673. Higher available credit amounts — Owners of small businesses also qualified for nearly double the available credit amount — a whopping $56,100 — compared to average consumers with $26,900. More open trades and higher monthly payments — Owners of small businesses on average have greater numbers of open trades and higher monthly payment obligations, whereas average consumers have nearly half the number of open trades and pay approximately half as much as average business owners per month in trade payments. Furthermore, owners of small businesses are more likely to own their own homes and have higher incomes than their consumer counterparts. Managing personal and business credit lines properly are equally important. Take advantage of the proper credit management tools and your local commercial credit bureau partner can help you — and your small business — thrive. We’re always available to answer any credit questions or assist with a collection. Please call us at 303-806-5300, fax us at 303-806-5360, or send a request through our website. 1 Experian. 2016. “The Face of Small Business.” Accessed November 16. Source. 2 Experian. September 2016. “The Face of Small Business.” Infographic. Source. This entry was posted on Wednesday, December 14th, 2016 at 8:09 am	and is filed under Blog Posts. You can follow any responses to this entry through the RSS 2.0 feed. Both comments and pings are currently closed.